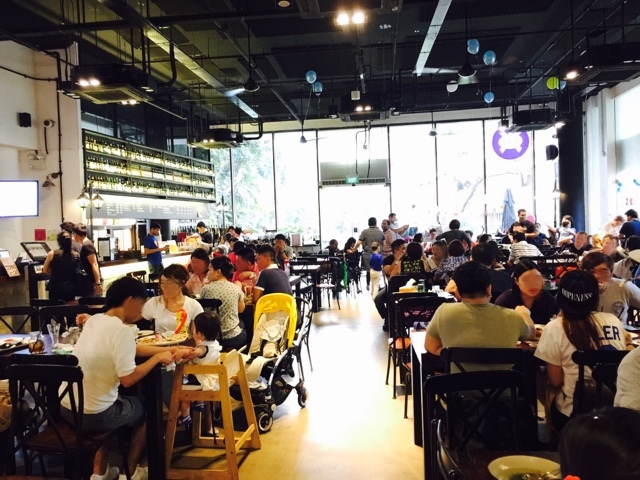 When I read the reviews of Essen, it touted the best chicken wings in Singapore sold by Two Wings and it certainly delivered. 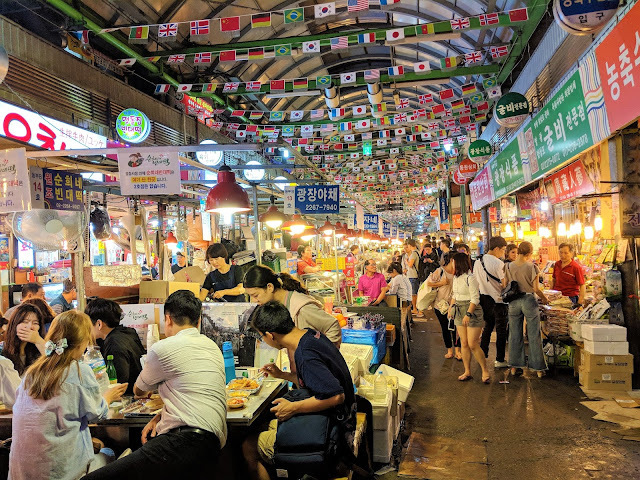 Essen has been described as an "Ang Moh' food court with a few stalls but I feel that it is offering more than our usual Food Republic or even Marche. 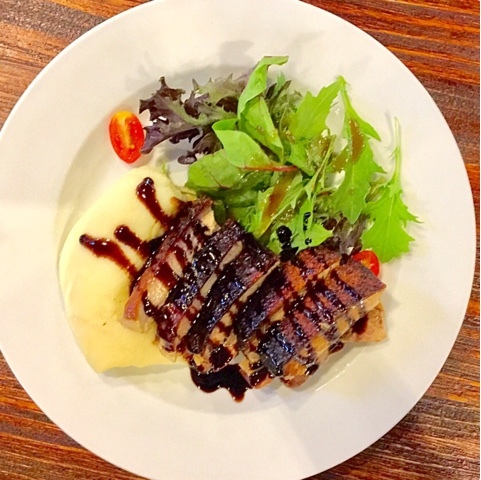 It charges $8 to $15 for its mains and some of the dishes are of good restaurant quality. 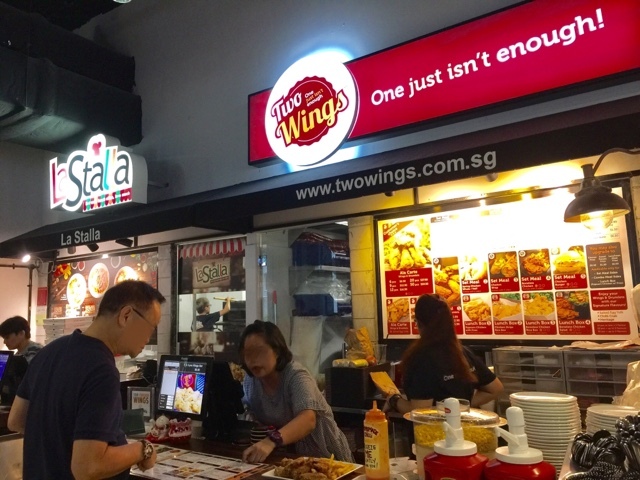 The Best Chicken Wings in Singapore were sold by Two Wings. 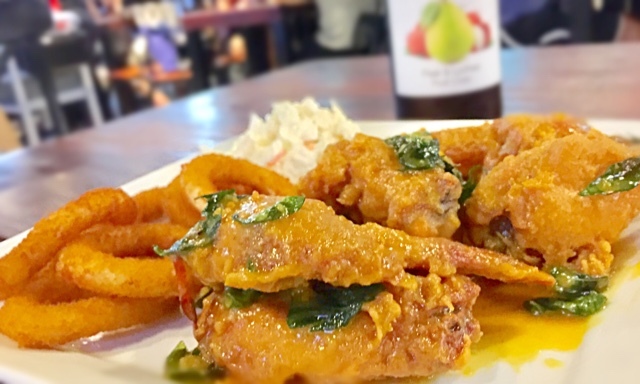 I was pleasantly surprised that the wings came with a choice of either Salted Egg or Chili Crab flavoured. Thumbs up for creativity! Finger-licking good for taste! When served, the wings looked so appetizing with its golden brown batter coated with salted egg cream. The salted egg cream was perfectly balanced and complimented the wings superbly. We could choose 2 sides with the set - onions rings and coleslaw. The onion rings were as nice as Astons and the coleslaw was definitely better than a lot of western food stalls. It was the dish of the day for me. 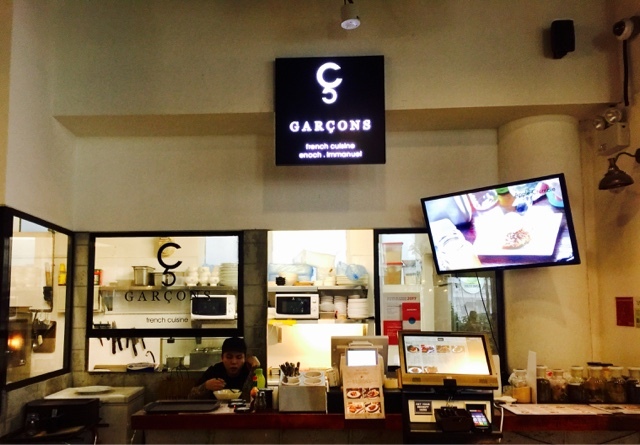 I had to try something from Garcons because it is offering French fine dining cuisine at affordable prices. I love to eat Sio Bak so the 12 hour crispy pork belly caught my attention immediately. The mash potato lacked the usual potato fragrance. A lactose intolerant individual would find this too milky. The star of the dish managed to deliver. The crackling skin was indeed crispy despite the generous amount of sourish sauce. The meat was so tender that I could tear it apart with a fork. The only good point about this dish was that it was the cheapest food item of the night. 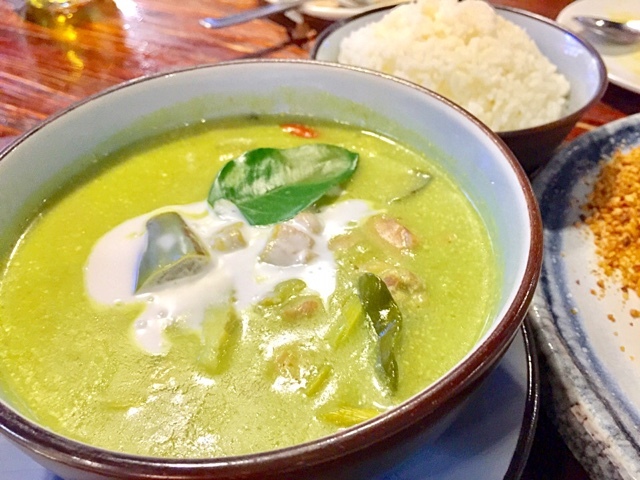 This was a miss because it was completely off balance - way too sweet and lacked the sharpness of the usual green curry. 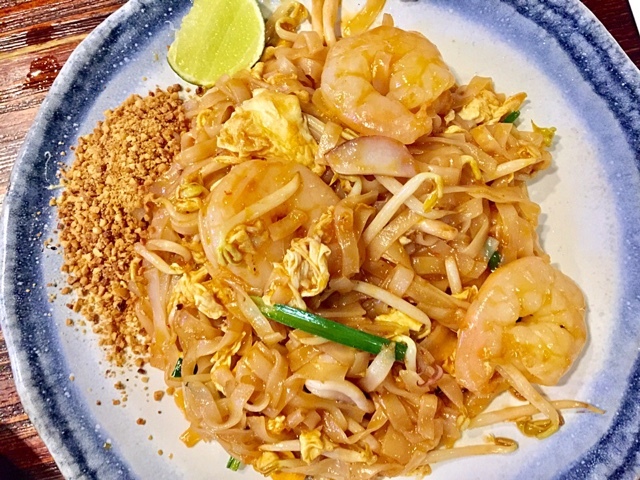 The Pad Thai did not lose out to the Green Curry - it was equally disappointing. It lacked Wok Hei and the noodles tasted flat, and again, too sweet. Despite adding lime juice, it was just not palatable. This was the worse dish of the night for all of us. Viet Thai either has to shape up or move out. 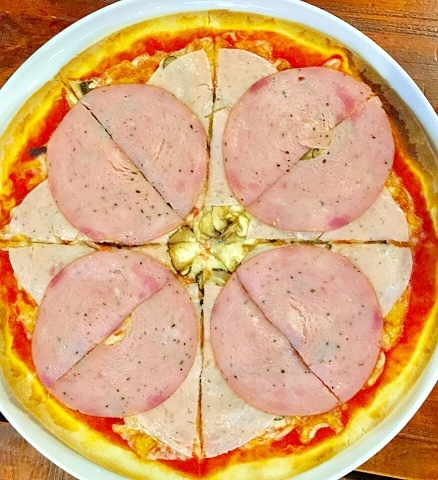 Hahaha, I know that this pizza does not look like the most appealing pizza on earth but the taste was great! The crust was paper thin and crispy at its sides. The soft ham, combined with cheese and mushrooms, with thin crust, could not go wrong and it didn't. I would definitely recommend this to go with Essen beers. The best part about Essen was that the entire experience gave me a feeling that I was not in Singapore. I felt like I was in Australia. The mood was very chillax. Essen also sells Fruit Beers. I had a pear and lychee cider for S$15 (500 ml). All of us had a great time chatting, eating and the atmosphere was just right. I have taken a few shots of the place. Enjoy the pictures! By the way, I was salivating when I saw Burger Buddies but there simply wasn't any stomach space left. 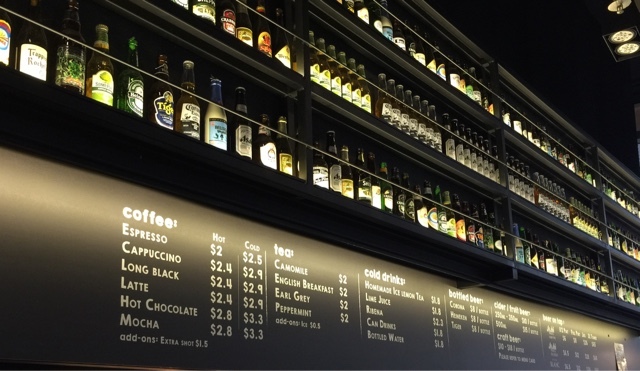 I would return to Essen to try their wings, pizza, exotic French cuisine, beers and Burger Buddies. 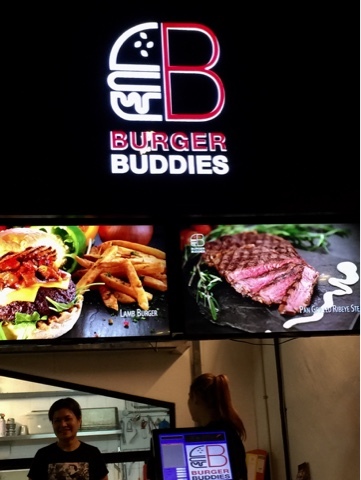 Have you tried Burger Buddies? Leave your comments to recommend what food items are good!